The American debut of an enthralling new voice: a vivid, indelibly told work of fiction that follows four generations of a family against the backdrop of a tumultuous century—a novel about inheritance, about fate and passion, and about what it means to truly break free of the past. This is the story of the Hastings family—their secrets, their loves and losses, dreams and heartbreaks—captured in a seamless series of individual moments that span the years between the First World War and the present. The novel opens in 1914 as William, a young factory worker, spends one last evening at home before his departure for the navy . . . His son, Billy, grows into a champion cyclist and will ride into the D-Day landings on a military bicycle . . . His son in turn, Will, struggles with a debilitating handicap to become an Oxford professor in the 1960s . . . And finally, young Billie Hastings makes a life for herself as an artist in contemporary London. Just as the names echo down through the family, so too does the legacy of choices made, chances lost, and truths long buried. Jo Baker was born in Lancashire and educated at Oxford and Belfast. 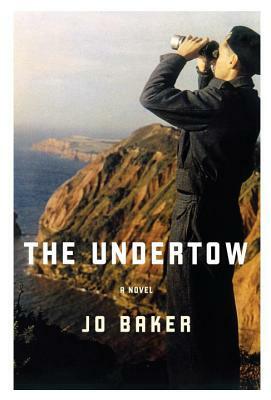 "The Undertow" is her first publication in the United States. She is the author of three previous novels published in the United Kingdom: "Offcomer, The Mermaid's Child, " and "The Telling." She lives in Lancaster.